Whether your biggest fears are how to keep up with regulatory compliance or your competition, manage staff turnover or referrals, or make data and patient-centric interoperability a priority, the common denominator is: the right technology can conquer your challenges. Our new whitepaper shows you how to get it right. 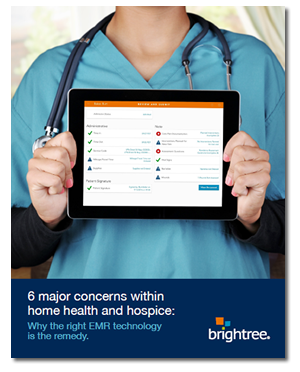 Read the white paper, “6 Major Concerns with Home Health and Hospice” to learn more.